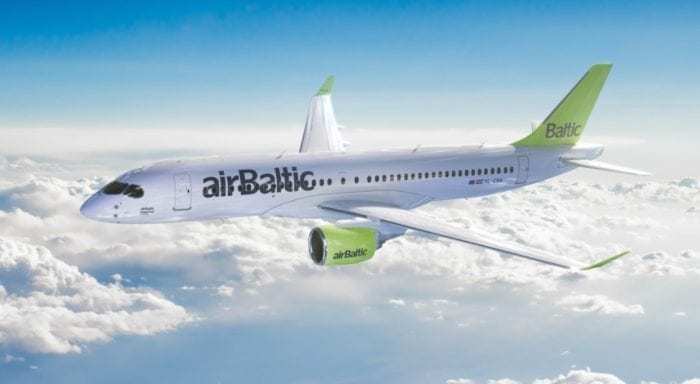 Lufthansa will lease two Air Baltic Airbus A220s starting March 2019. The aircraft will support Lufthansa’s fleet during the busy summer months. The two Airbus A220-300 will be wet-leased from Air Baltic. This means that Air Baltic will provide the aircraft and the crews to operate them. Currently, Lufthansa does not have any A220 aircraft in its fleet. Wet leases are frequently used during busy seasons. Photo: Air Baltic. According to Lufthansa’s latest schedule, the two Airbus A220-300 will be based at Munich’s Franz-Josef-Strauss Airport (MUC). The aircraft will serve the following destinations: Bucharest (OTP), Budapest (BUD), Luxembourg (LUX), and Lyon (LYS). Air Baltic is the flag carrier of Latvia. As a matter of fact, the Republic of Latvia owns 80% of the airline’s shares. The airline’s headquarters are in Riga; its hub is at Riga International Airport. Air Baltic’s fleet consists of 14 Airbus A220-300s, 12 Bombardier Q400s, 6 Boeing 737-300s, and 2 Boeing 737-500s. Lufthansa will wet-lease 2 of Air Baltic’s 14 A220s this summer. Photo: Air Baltic. The A220-300s seat 145 passengers and have a range of 4,575 km. 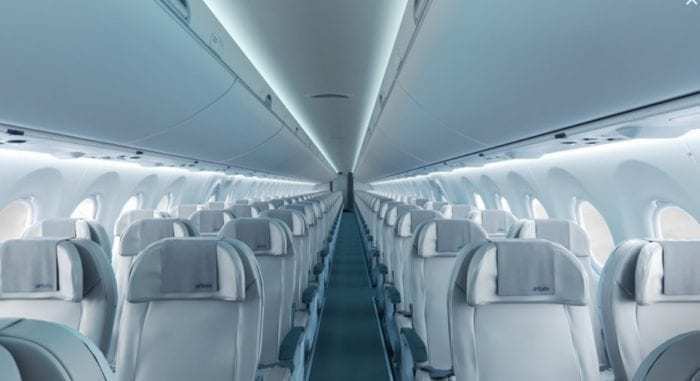 Lufthansa’s passengers will enjoy a comfortable flight on Air Baltic’s A220s. Photo: Air Baltic. However, Air Baltic’s A220s are not the only aircraft Lufthansa will lease this summer. Which other aircraft will Lufthansa lease this summer? Germany’s aviation magazine “aeroTELEGRAPH” reported that Lufthansa will wet-lease a total of 5 aircraft. In addition to the two aircraft provided by Air Baltic, the German flag carrier will also get aircraft from Sun Express and Air Nostrum. The Turkish airline Sun Express will provide two Boeing 737s. These aircraft will be based in Munich and serve Athens and Palma de Mallorca. Spain’s Air Nostrum will provide one Bombardier CRJ1000. This aircraft will be based in Frankfurt and serve Luxembourg as well as Zagreb. Why will Lufthansa lease the aircraft? Lufthansa is trying to be proactive this year. Last summer the airline had to deal with numerous delays and cancellations. Even Lufthansa’s CEO Carsten Spohr had to admit that the airline did not provide “five-star service” during that time. This year, however, the five aircraft will help alleviate some of the issues. 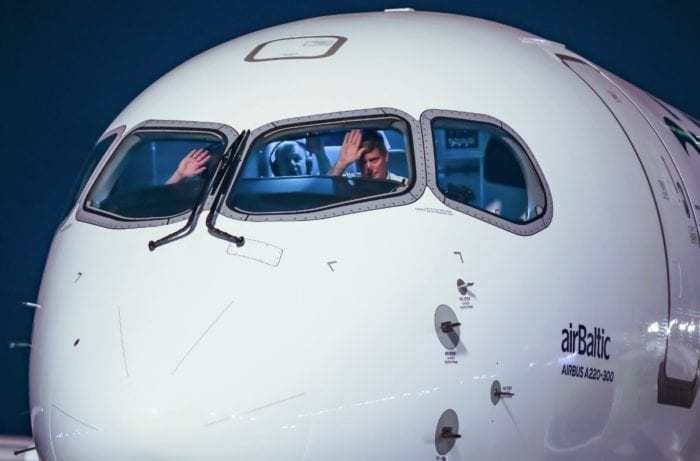 Furthermore, some Lufthansa passengers will likely be very happy when they find out that their flights will be operated on an A220. According to Air Baltic, the commercial range on its Airbus A220-300 aircraft is 4,575 km. Lufthansa’s subsidiary Swiss International Air Lines flies eight A220-100s and twenty A220-300s.